I came to know about this child through my staff (Mrs Lavanya) working as a Staff Nurse at our Srushti fertility centre. 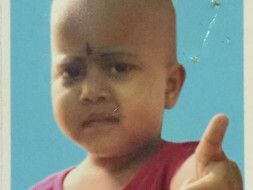 Baby Chelli is just 3 years old and her father Mr Sethuraman is unable to meet Chelli's medical expenses. 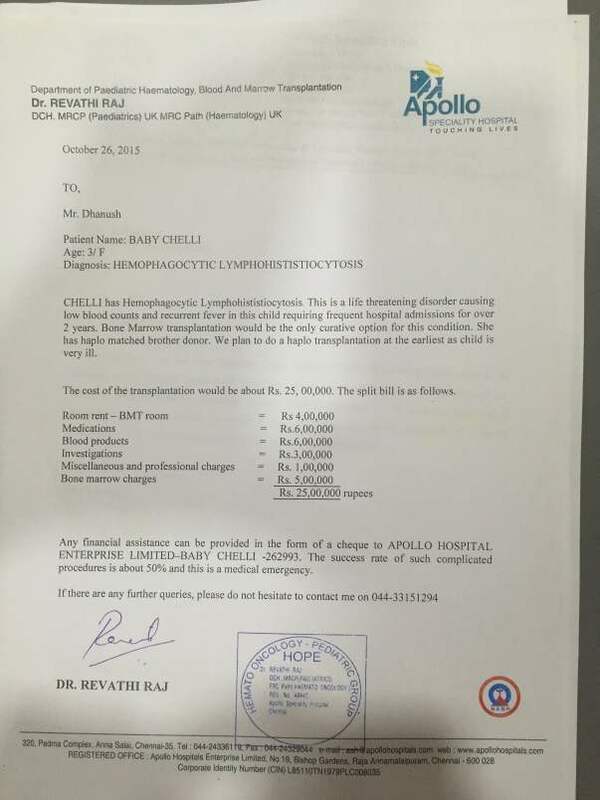 She had been taking treatment at CMC and now taking treatment under Dr Revathi Raj at Apollo Hospitals-Anna Salai. She has been diagnosed with Hemophagocytic Lymphohististiocytosis which is a life threatening disorder. It causes low blood counts and recurrent fever in this child requiring frequent hospital admissions for over 2 years. The Drs have suggested Bone Marrow transplantation which would be the only curative option for this condition. 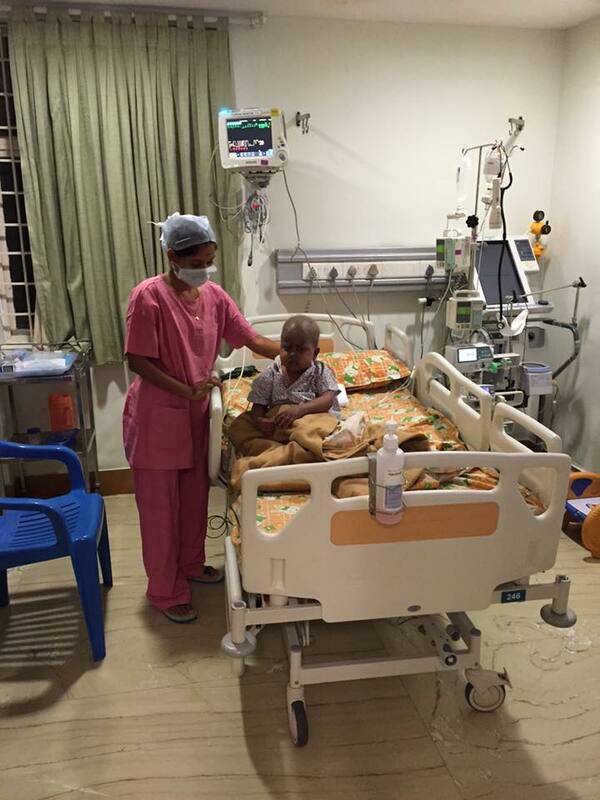 Her own brother who is just 6 years old has been selected as haplo matched donor and they are intending to do the haplo transplantation at the earliest possible as the child is ill. I am requesting you to spread the word and do your best so that Baby Chelli would undergo the required procedure and fight against all odds to be with her loved ones. Though the success rate of such complicated procedures is about 50%, we need to have hope and faith in God to save Chelli. Please come forward to give this family hope. 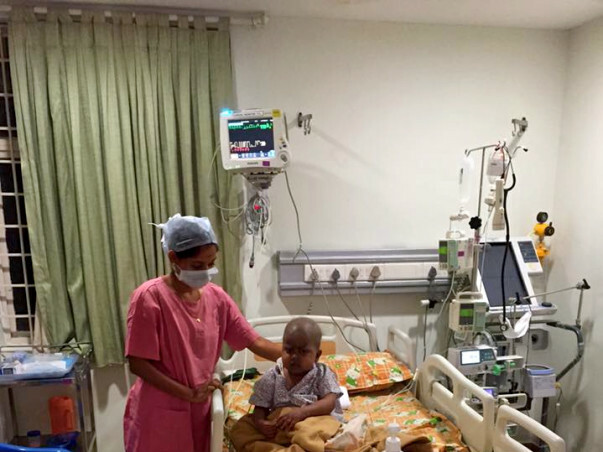 Soon after Chelli's Bone Marrow Transplant I visited her at Apollo Cancer Hospitals, Teynampet near SIET College. She is in the ICU and recovering well. Her parents thanked all of you and I have handed over all the funds which we have raised so far. 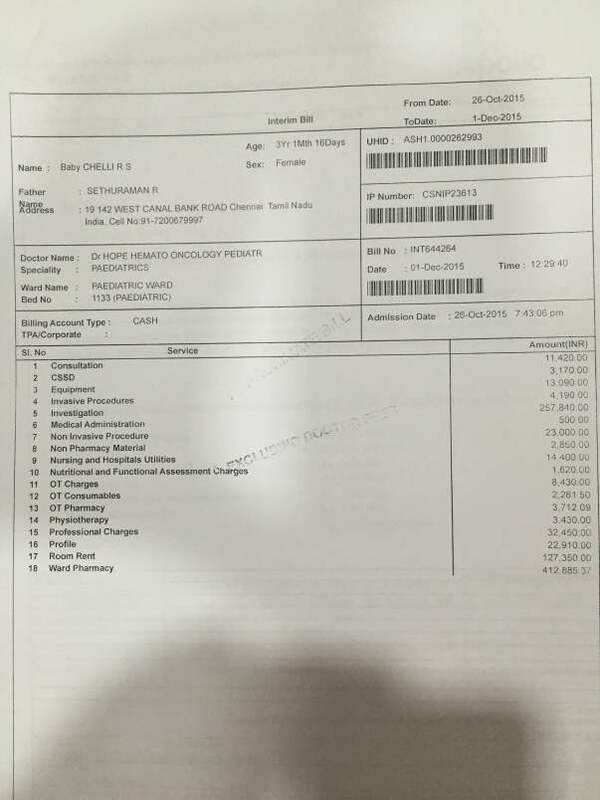 Another donor who is my sister's very close friend has donated Rs.2 lakhs directly to the parents. Thank you so much for your genorosity.